There was very little fanfare when Denis ‘aDrENalin710’ Strebkov topped a 482-player field in Event #5 (Medium) on the second day of the 2018 World Championship of Online Poker. The 28-year-old Moscow resident was one of 15 winners on that day. 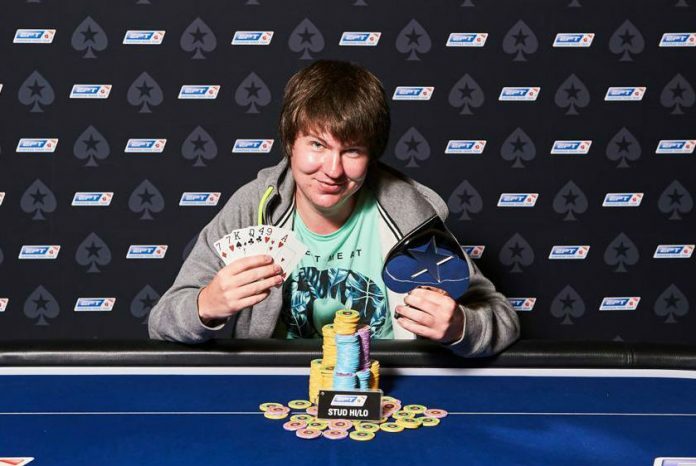 Over the course of the two weeks that followed, however, Strebkov forced people to stand up and take notice as they heard his name over and over and over and over again on his way to a record-setting five WCOOP titles and a solid hold on the top spot on the WCOOP Overall Leaderboard. As the wins began piling up, Strebkov knew he had a chance at winning the Overall Leaderboard and began playing more and more events. The five wins were an impressive feat but Strebkov says it was a tournament that he didn’t win that proved to be the most difficult. Of his five victories, none came in No Limit Hold’em. While a high percentage of players his age got their start playing No Limit, Strebkov had a more unusual path. While No Limit Hold’em might not be his area of expertise, he’s got a few months to work on it. Winning the overall WCOOP leaderboard came with a $30,000 Platinum Pass that includes the $25,000 buy-in to the PokerStars Players Championship at the PokerStars Caribbean Adventure in January. “I’m learning Hold’em, but still have some things I need to improve on. Let’s see how I do in the Bahamas,” said Strebkov, who has played a few European Poker Tour events and other, smaller live events scattered throughout Europe. His WCOOP success not only added those five wins to his resume, that now includes an all-time record nine WCOOP titles, but it also came with a substantial boost to his bankroll. He’s planning on expanding his schedule online and potentially increasing the stakes he plays. Strebkov counts another Russian mix game specialist as one of his closest friends in poker. Eight years ago, Strebkov reached out to Andrey ‘Gigaloff’ Zhigalov on Skype to talk poker and learn from him. Three years later the two met face-to-face for the first time and now the pair regularly talks strategy. Aside from his recent success, Strebkov says he’s just a regular guy. “I like to smoke hookah with my friends and play FIFA and other PlayStation games as well as some board games. I also enjoy listening to music and watching movies like everybody else,” said Strebkov.